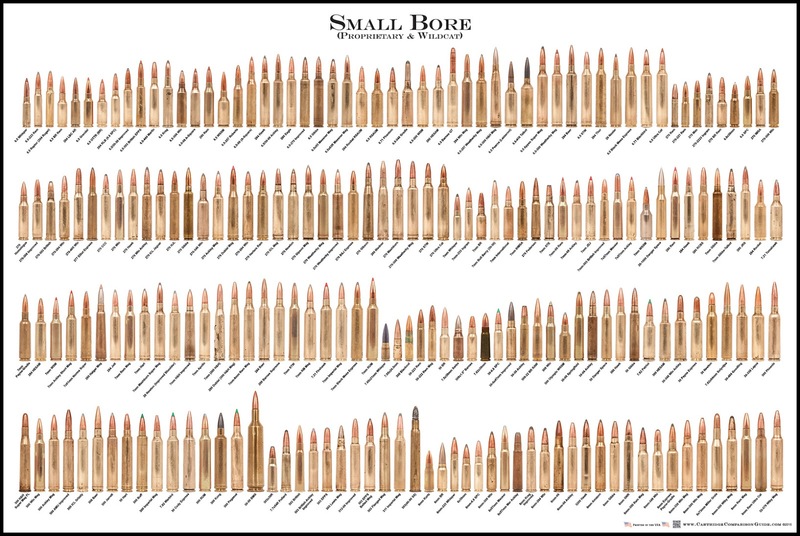 These posters are available from Cartridge Comparison Guides Website HERE. These are some really awesome and unique visual guides that are great for your gun room or man cave. 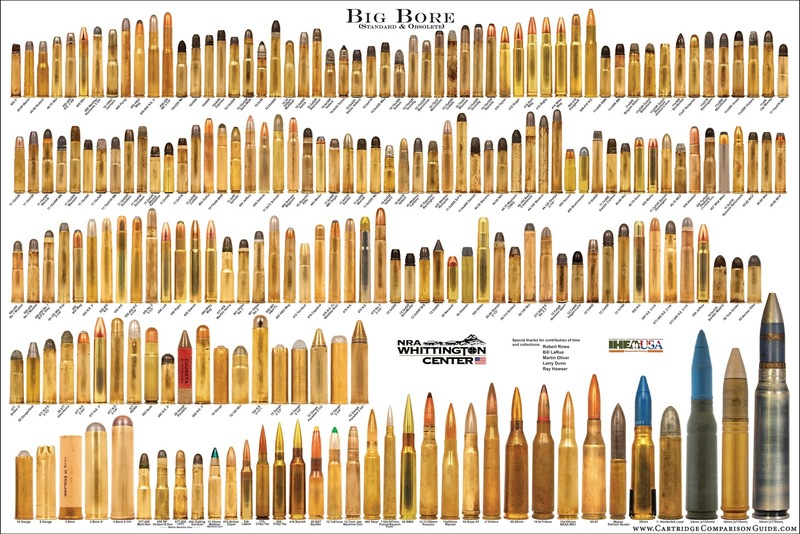 An actual size visual comparison is always nice to have when discussing various ammo cartridge variations. These posters also look great on the wall. The American Heritage one at the bottom is my favorite with all the classic cartridges of the Frontier and Wild West days. 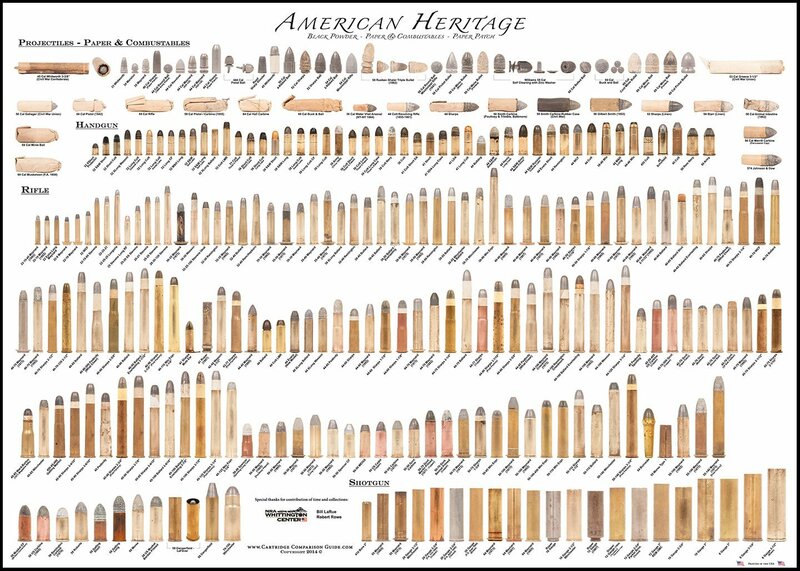 The American Heritage poster highlights black powder ammunition (Rifle, Shotgun, and Handgun) used by the American Rifleman and US Military from 1776 to roughly 1885 when the conversion was made to smokeless powder. It includes all versions of the musket ball, paper and combustibles, and self-contained black powder munitions that were used by the US Military including Confederate and Union Civil War ammunition. 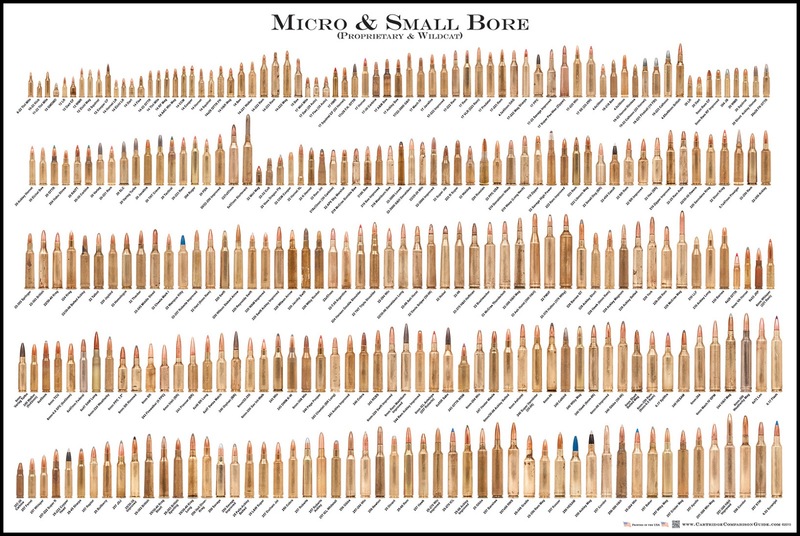 The poster contains over 280 different Cartridges, Paper and Combustibles, or Projectiles – all life size (measuring within 4/1000 of an inch). Includes prominent cartridges from every American military engagement as well as Frontiersman, Buffalo Bore, and Cowboy/Ranger cartridges. Includes the full range of musket: Ball, Mini Ball, Buck & Ball, Paper Patch, Shaler Triple Bullet, Whitworth, and Williams Self Cleaning. Also includes a full range of Paper and Combustibles, even including rubber and animal intestine case. 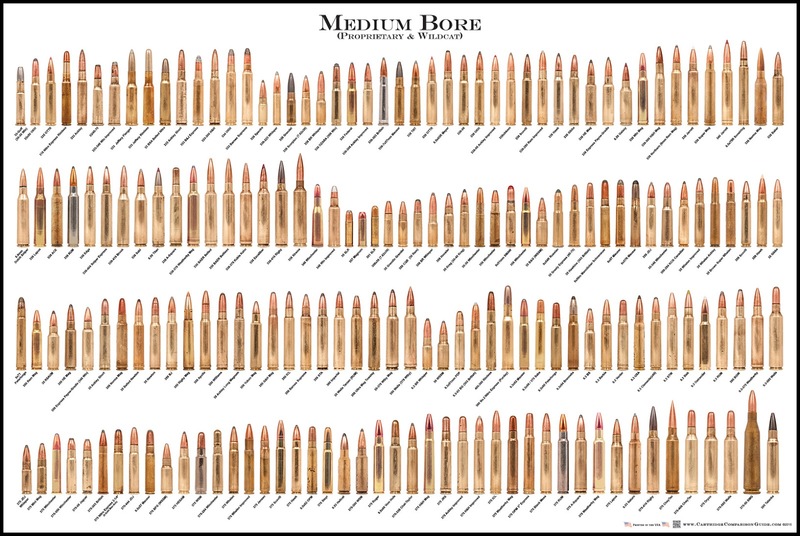 Rifle cartridges range from 22 caliber Maynard and Stevens up through the big 45, 50, and 55 calibers and terminates with the 58 caliber cartridges of that era. Handgun cartridges range from 32 X-Short to 50 Navy and 50 Army. Shotgun cartridges include Maynards, Ropers, Winchesters, and Remington UMC ranging from 410 Bore up to 8 Gauge. Included cartridges: Sharps, Bullard, Ballard, Burnside, Peabody (What Cheer), Remington, Hepburn, Maynard, Stevens, Winchester, Spencer, Colt, Thuers, Mississippi Rifle, Snyder, Roper, Evans, Wesson, Smith & Wesson, Ward-Burton, Meigs, Dangerfield-LeFever, Schofield, and Roberts. Poster dimension is 27 x 38 inches. Images are full color on High gloss / High quality 100lb poster paper.